There is nothing quite as cute as a pile of adorable baby clothes, especially the kind that never need washing. 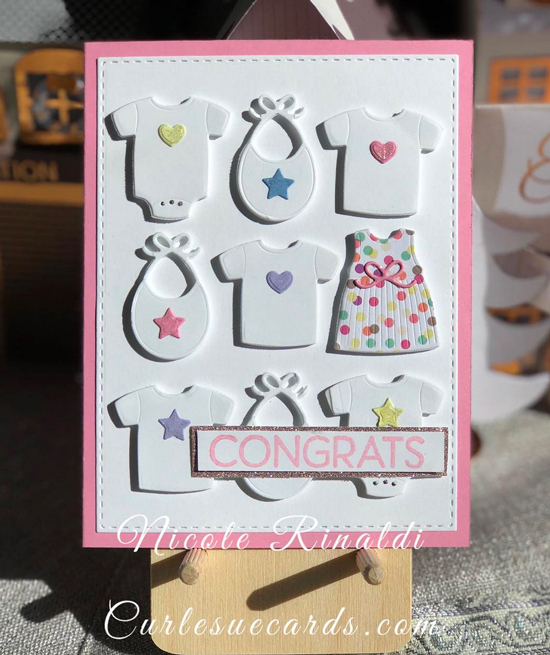 ;) Nicole featured a collection of itty-bitty cuteness on her card with the Bundle of Baby Clothes Die-namics, completing the look with a soft color palette perfect for both boys and girls. 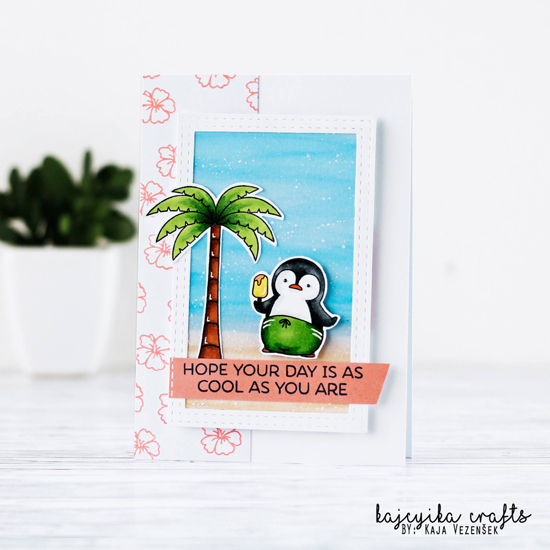 We love Kaja's card featuring a cool penguin ready for some fun in the sun! Her summery scene is highlighted by her stitched frame while her soft pink sentiment banner perfectly complements her stamped panel. 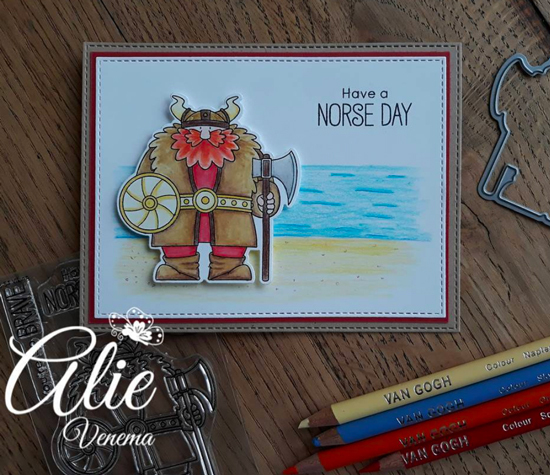 Alie created a colorful scene with her Viking image and gorgeous landscape in the background. The addition of the water and the sand really bring the picture to life with depth and realism. Alcohol inked backgrounds have been a very popular design choice lately, and Tanja shows just how amazing they can look on her wintry card design. A beautiful blend of aquas and silvers mimic the look of frosty ice in her scene and provide an excellent backdrop for her bear image. How sweet is this card design featuring the adorable bear image from the Friends Furever stamp set? The pop of red in the background with the black and white striped panel is the ideal choice for a love-themed card. Thank you for featuring my card. 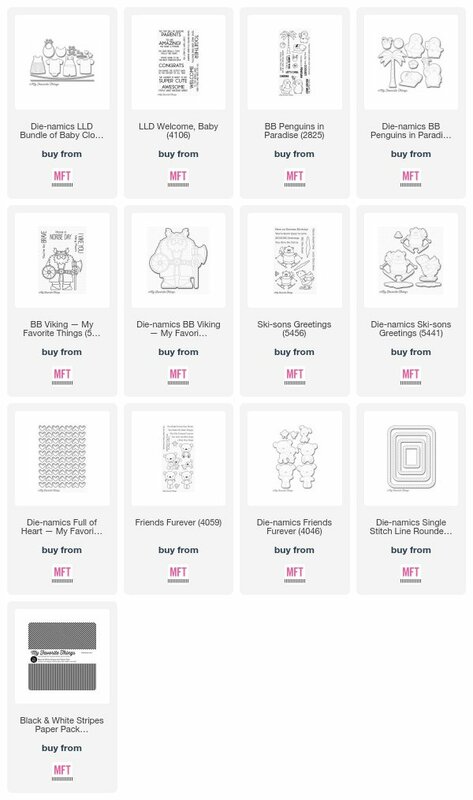 As one loving stamps from MFTstamps, it's really great hornor!!! Hooray!!! And I also give congrats to all who have been spotted. Great inspirations! How cool to see all these fabulons designs!